FOR SOME CLUBS, PLAYING IN EUROPE IS A STRONG AMBITION. For others, it’s a cardinal necessity. Money is thrown about to ensure constant participation, as the prestige of elite competition becomes a drug. Yet few clubs are totally obsessed with Europe to a point where it’s ingrained in their DNA. Galatasaray Spor Kulübü is one such institution, and its tale is one of ceaseless yearning. Until recently, Galatasaray were banned from Europe due to breaches of Financial Fair Play regulation. Therefore, these are testing times in Istanbul, that crucible of footballing potential. To understand the importance of European football to Galatasaray, and thus the present pain of supporters, one must delve back to the earliest days of a club rooted in antiquity. The sporting arm of Galatasaray was spawned from an illustrious high school bearing the same name. The school was established in 1481 by Gül Baba, an Ottoman poet. According to legend, he met with Sultan Bayezid II, who asked for his advice on improving the Empire. Gül Baba wanted a school to educate the masses of Constantinople, a cosmopolitan metropolis unlike any other. The Sultan agreed, and soon a school was fashioned in the Galata district, with Gül Baba serving as headmaster. It set high standards and taught rigorous subjects. Later, it became known as Lycée de Galatasaray, echoing the French influence upon its teachings. Many powerful people graduated from the school, but few had a greater impact on the lives of millions than one precious youngster with a dream. Ali Sami Yen first encountered football when it was played by the British of Istanbul. He was instantly captivated and soon took it back to the school, where it flourished as a popular pastime. That passion coalesced into a more organised form in 1905, when Yen established the Galatasaray football team. At the time, laws forbade such associations, so the club wasn’t officially registered until 1912. However, the spirit for which it became world famous was already alive and kicking, and its guiding principles were already in place. “Our aim is to play together like Englishmen, to have a colour and a name, and to beat the non-Turkish teams,” said the founding father. As a result, a desire for international success was essentially written into the constitution of Galatasaray. From its earliest days, a hunger for global respect was stitched into the club’s very fabric. Mere success at home would not suffice. “The English invented and dominated football at that time, so the ultimate goal for Ali Sami Yen was to see Galatasaray reach that level of quality and fame,” says Özer Dindjer, a passionate fan who covers the club through his Twitter account, @Ataqoz. “Secondly, given his cosmopolitan upbringing, for Yen there was no glamour in defeating other Turkish clubs. Not many existed at that point, and true prestige was gained by defeating clubs from other countries. This was his way of proving that his team could indeed ‘play like Englishmen’. The high school played a vital role in shaping the philosophy of its football club. Galata was an elite district, and the school attracted people from all over the Ottoman Empire with its gilded curriculum. This intellectualism ran in the blood of Galatasaray and encouraged its students to seek enlightenment across borders. In football terms, this liberal globalism was central to Ali Sami Yen’s desire to find glory overseas. His Galatasaray had to beat the best teams and establish power through the poetry of sport, and that it most certainly did. Galatasaray became a fulcrum of Turkish identity, an organ through which the Ottoman Empire could illustrate its prowess. Under Yen, the club yearned to elevate Ottoman pride under a united colour and one name. The chosen colours were eventually yellow and red, perhaps as a nod to the favourite roses of Gül Baba, and the name was Galatasaray, literally meaning Glory and Courage. Yen was the club’s first member, president and player. He won three Istanbul Football League titles on the field and defended Galatasaray from strict rules off the pitch until the Turkish Republic was born in 1923. Years later, the club’s stadium was named after him. It was located in the Mecidiyeköy quarter of the Şişli district, on the European side of Istanbul. This strengthened Galatasaray as a club that looked west for inspiration. In the footballing sphere, that’s where power lies. And that’s where Yen’s vision was realised, long after his death. To appreciate his impact, one must know that Turkey is a nation besotted with iconography. Its people are tirelessly vigilant of history and legacy. For instance, a strong cult of personality is attached to Mustafa Kemal Atatürk, the man who led Turkey in the war of independence after World War I to establish the Republic. Atatürk was a leader of great social and political reform. He introduced secularism and improved women’s rights, in addition to reforming language and calendars. Now, statues and portraits of his likeness appear all over the country, and the nation falls silent on 10 November each year to mark his death. The recent coup attempt in Turkey had multiple causes, but one was a sense of duty among elements of the armed forces to act like guardians of Kemalism. This illustrates his continued importance to Turkish life. In a similar regard, Galatasaray fans, executives and players are entrusted with maintaining the dreams of Ali Sami Yen. Football is an obsession in Turkey. Estimates show that around 76 percent of Turkish people classify themselves as active fans of a team, with Galatasaray regularly polling at around 40 percent in terms of popularity. That gives Gala around 30 million fans in Turkey alone, while millions more around the globe are attracted to the club’s image. Istanbul is the seventh largest city in the world by population. None of the six larger cities have a strong footballing pedigree, so it can be argued that, purely restricted to their local market, Galatasaray can harness a more powerful fan base than almost any club on earth. That’s a huge driving force, and when the team falls below the lofty standards Yen instilled, a backlash typically follows. People want answers, and they demand that Galatasaray succeeds in accordance with its founding ethos. Ultimately, Galatasaray is more than a football club. Some say it’s a feeling, a lifestyle. It’s certainly an institution, with tentacles spreading to every aspect of life. Football is our one universal obsession, the one common language in which legacies and reputations can be written and perceptions and loyalties can be changed. In this regard, Gala, as the most successful and supported Turkish club, remains a prominent vehicle for national pride around the world. Galatasaray is Turkey’s greatest export, and that’s why strong performance in Europe, before full view of the watching world, has deep political, social, economic and spiritual consequences. Galatasaray is Turkey’s greatest export, and that’s why strong performance in Europe, before full view of the watching world, has deep political, social, economic and spiritual consequences. The first facet of Yen’s plan to dominate local competition was easily satisfied. Galatasaray won 15 Istanbul league titles, a record shared with bitter rivals Fenerbahce, and developed a reputation for sophisticated football. However, an opportunity to play in Europe and satisfy Yen’s ultimate ambition didn’t arrive until 1956, five years after his death. The new Süper Lig offered greater professionalism, and Gala faced Dinamo Bucharest in a European Cup qualifier, becoming the first Turkish club to play, score and win in a UEFA competition. Nevertheless, the Romanians emerged victorious over two legs, to the disappointment of all. Galatasaray had to wait six years for another taste of Europe, but the club enjoyed a magical run in the 1962-63 competition, fuelled by the goals of Metin Oktay, one of the club’s first megastars. Dinamo were beaten this time in a qualifier before Polonia Bytom were dispatched. Gala met AC Milan in the quarter-final, and although the Italians thrashed them 8-1, Yen would have been proud of the way his team fought against tough odds and mightier opponents. In subsequent years, European football became a regular occurrence in Istanbul. A coin flip loss to FC Zürich ended their involvement in the 1963/64 European Cup, before Gala made its debut in the European Cup Winners’ Cup a season later. This was a new frontier, and perhaps a greater opportunity to compete against teams of a similar standard. However, Legia Warsaw beat Gala in the last-16, raising serious questions as to whether the club would ever reach its full potential on the international stage. Five years passed before the next major European conquest of Galatasaray. Spartak Trnava were beaten by virtue of another coin toss, but Legia awaited once again to crush Turkish hope in a tense quarter-final. 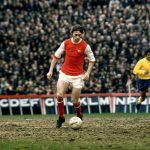 This trend continued throughout the 1970s as Gala butted up against the glass ceiling of European football, even in the newfangled UEFA Cup, aimed at that second tier of clubs. The squad was capable up to a certain point, but many felt that major advancements were required within the culture of Turkish football before its marquee clubs could compete against continental behemoths. England twice beat the national team 8-0, an accurate barometer of where the domestic game stood at a critical juncture. A revolution was needed, and Galatasaray found just the right person in Jupp Derwall, a respected coach who turned down several jobs in his native Germany to take control of the club known affectionately as Cimbom. The humongous promise of a sleeping giant was about to be unleashed. A cerebral man, Derwall had a strong coaching staff of young minds that he influenced greatly. Fatih Terim, a Galatasaray stalwart, was one such disciple, and he would be heard from again. But it was Mustafa Denizli, Derwall’s assistant, who took over when the great man retired in 1987. Denizli carried the torch Derwall had lit, with the same approach and philosophy guiding Galatasaray to tremendous success. In 1988/89, his vision bloomed to fruition, as Gala reached the European Cup semi-finals, obliterating all previous records and setting a new standard for Turkish football. Cimbom Beat Rapid Wien, Neuchâtel Xamax and Arsène Wenger’s Monaco before losing narrowly to Steaua Bucharest over two legs. In particular, the Neuchâtel tie still echoes in folklore, as Gala overcame a 3-0 deficit from the first leg to win 5-3 before 35,000 fans. The beast was finally awake. Gala endured a brief slump domestically but rebounded to achieve a Cup Winners’ Cup quarter-final berth in 1992. 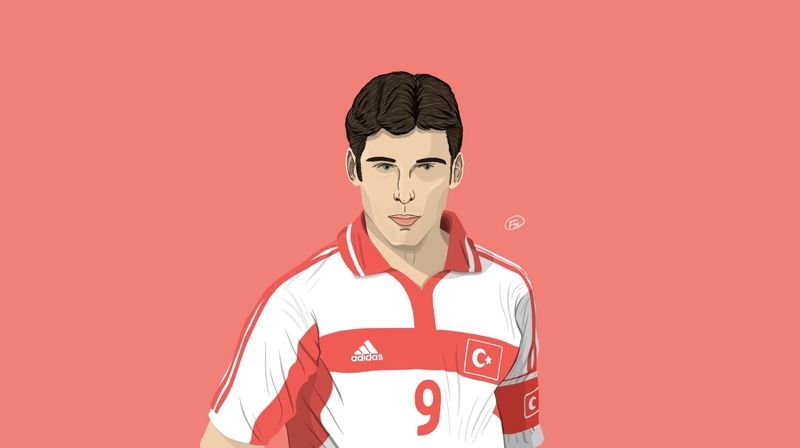 Around this time, Hakan Şükür arrived from Bursaspor to begin a legendary career in yellow and red. This was perhaps the club’s first great signing of the modern age, and it paved the way for elite talent that would transform Galatasaray. The club also made its Champions League debut in 1993, beating Manchester United to qualify for a group containing Barcelona, Spartak Moscow and Monaco. Gala couldn’t reach the knockout round, but it was now brushing shoulders with the giants, and the new competition opened fresh commercial opportunities for growth. Unfortunately, Galatasaray was unable to fully harness the new streams of revenue that came with Champions League involvement. While top clubs transitioned to sleek operations flush with television revenue, Gala struggled to keep up. Cimbom was still a pastoral football team, rather than a commercial conglomerate. The Ali Sami Yen stadium was capable of seating 25,000 at a push, with minimal room for luxury suites. Gala lacked the infrastructure to easily become a true force, and a new corporate identity was needed to match the club’s vastly growing fanbase. Nevertheless, on the field, Galatasaray was always a tough opponent. When they crossed that white line, wearing that hallowed shirt, backed by those fans, the Cimbom players didn’t care about money or stadiums or training grounds. They fought like lions, and frequently toppled the giants in a manner to honour the legacy of Yen. In 1994, Barcelona were beaten 2-1 in Istanbul, while Manchester United could only muster a goalless draw. Galatasaray struggled to reach the Champions League knockout stages, but their fans became famous for creating hostile atmospheres that frightened the most powerful clubs Europe could muster. Supporters wanted the best clubs to visit their manor, and they wanted Galatasaray to fight for the honour of Istanbul and Turkey. The ancient aspiration of Ali Sami Yen was freshly vocalised, as new dreams burned bright. During this era, Gala appointed a series of foreign managers, such as Graeme Souness, hoping to make a quantum leap to the promised land. It never quite happened, however. At least not until the return of Fatih Terim, Derwall’s protégé, in 1996. All the pieces were vaguely on the table. Terim finished the jigsaw puzzle. After two hours of goalless action and a frenetic penalty shootout, the job of winning the UEFA Cup for Galatasaray fell to Gheorghe Popescu. The Romanian trudged towards a bank of fans at one end of the Parken Stadium in Copenhagen. He placed the ball on its spot, stepped back, and looked into the eyes of David Seaman, the only man who could keep Arsenal alive. Feeling the weight of a nation, Popescu sprinted towards the ball, as the football world fell silent. Then, he lashed a thunderous drive into the bottom corner, too fast for Seaman to respond. Galatasaray had done it: a European trophy was finally theirs. That season, 1999/2000, didn’t begin so well, as Gala fell from the Champions League into the second tier competition. However, they proceeded to beat Bologna, Borussia Dortmund and Mallorca to arrange a tense semi-final with Leeds United. That tie was besmirched by unspeakable violence, as two Leeds fans were killed in Istanbul. Of course, that can never be condoned, and it remains a permanent stain on the image of Galatasaray. On the field, Cimbom won 4-2 over two legs, setting up a fascinating final watched by millions around the world. Both sides squandered golden opportunities in Denmark, but neither could find a breakthrough until Davor Šuker and Patrick Vieira missed in the shootout for Arsenal. Galatasaray were faultless, by contrast, and they duly became the first Turkish club to lift a European trophy. Ali Sami Yen could rest in peace. Indeed, Gala defeated a fine Wenger team featuring Marc Overmars, Thierry Henry and Dennis Bergkamp. The Turkish giants had a fabulous team of their own, centred around the greatest pool of homegrown players many had ever seen. 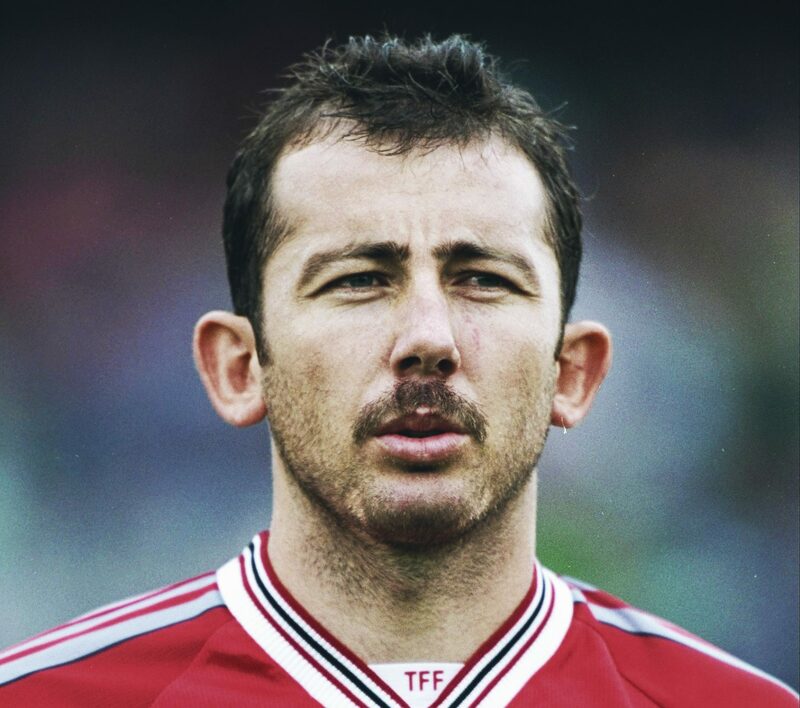 Native heroes like Şükür, Hasan Şaş and Arif Erdem blended nicely with foreign stars such as Hagi, Popescu and Cláudio Taffarel, purchased thanks to the global outlook of president Faruk Süren. This mix of young and old was harnessed masterfully by Terim, who coaxed every drop of ability from his squad to punctuate a glorious era. When the team returned home bearing silverware, Istanbul gathered in frenzied celebration. Across the nation, Galatasaray was lauded as a symbol of Turkish talent and power. When Cimbom beat the mighty Real Madrid to win the Super Cup a few months later, courtesy of a golden goal from Mário Jardel, the scenes were equally as triumphant. While the Super Cup has often struggled for gravitas, many Galatasaray fans saw it as confirmation that their team was the best in Europe. That was all anybody associated with the club had ever dreamed of. Whether through complacency or insouciance, Galatasaray didn’t capitalise fully on its greatest triumph. Rather than a building block to even greater glory, that UEFA Cup success became a zenith all of its own. The only way was down. And fast. Terim left for Fiorentina, to be replaced by Mircea Lucescu, a coach with good pedigree but less motivational skills. He led Gala to a Champions League quarter-final, where they beat Los Blancos in the first leg but were overrun at the Bernabéu. Galatasaray would struggle to reach that level again, as troubles mounted. The golden team began to fade. As key players aged, Gala didn’t do a good job of replenishing the core. Directors also made the fatal mistake of taking European revenue for granted, and when wages began to outstrip income, a gloomy picture emerged. The club hurried to implement a new commercial footprint, with stores and television channels and official magazines being launched, but it was largely too late, as massive debts strangled the life out of Galatasaray as a European power. Even as the team enjoyed success, regularly winning the Turkish title, directors failed to build a proper infrastructure for Galatasaray to progress. In the early-2000s, debts approached $150 million, as creditors became increasingly impatient. While Fenerbahçe hadn’t enjoyed anywhere near as much European glory, they operated far smoother than Galatasaray during this era. A renovated stadium and budgetary intelligence allowed Fener to plan for long-term prosperity. Fenerbahçe became the richer club, as Galatasaray almost became too unwieldy to handle. The need for a new stadium was imperative, but political wrangling halted all progress on that front. Gala played at the Olympic Stadium for a spell, as its board, led by Özhan Canaydın, was accused of incompetence. Terim returned in 2003 but a sixth-place finish saw Galatasaray miss out on Europe for the first time since 1991. 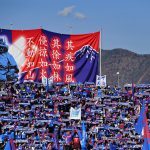 Rather than tackle its issues head-on as protests mounted, the club attempted to placate fans by making Hagi boss. That didn’t work, and the plight worsened. With creditors banging at the door and the club’s commercial arm in squalor, it took an intervention from passionate fan group UltrAslan to save the club from bankruptcy. Seeing that their merchandise was far more popular than the club’s, UltrAslan handed over the trademark for three years, creating a new revenue stream that kept the club solvent. With a new, if somewhat tenuous, foundation, Galatasaray slowly began to rebuild. In this regard, Yen’s founding vision was once again a powerful reference. First, the club needed to regain power at home. That’s what it did by winning titles in 2006 and 2008. Then, attention turned to Europe once more, although poor performances in both competitions didn’t inspire confidence. After survival had been vaguely assured, fresh impetus was needed to restore vigour to Galatasaray. New president Adnan Polat embodied that spirit. He overhauled the club’s transfer policy, with players like Milan Baroš, Elano, Fernando Muslera and many others arriving from overseas. Once again, Galatasaray became a viable destination for high profile players. And, once again, the club had a decent budget with which to work in the transfer market. These new signings found varying degrees of success, but the important thing was a change in perception. Galatasaray was back in business. In 2011, the new stadium was finally completed after more than a decade of haggling. The imposing Türk Telekom Arena gave Galatasaray room for 52,000 fans, plus ample luxury suites, stores and bars. It has all the trappings of contemporary design and is a massive conduit for progress. A football stadium, but also a commercial hub. A monument to what Galatasaray could become. With the new stadium and fresh dreams, if not a revamped bank account, Galatasaray became a monster of outrageous promise. The job of unwrapping that potential fell to Ünal Aysal, a charismatic businessman with a vibrant vision for Galatasaray. Aysal became president in May 2011 with a record majority of votes. He inherited around $250 million in debt, with almost $80 million of it being of immediate consequence, but still managed to revolutionise the club. First, he appointed Terim as manager again, hearkening back to the glory days. Then, he went shopping, and Galatasaray had never seen anything like it before. In came Wesley Sneijder, a playmaker of global renown. Then came Didier Drogba, a striker known to all. Gala reached the Champions League quarter-finals, where Real Madrid once again beat them, but the club was back where it belongs, fighting for European glory. Though arguably past their best, Sneijder and Drogba signalled a change in the club’s ethos. So did the arrival of Roberto Mancini as manager in September 2013. Suddenly, Galatasaray was a force to be reckoned with in a new age of post-modern football. Aysal had a dream to make Gala the global force it always threatened to be. Some say it was risky, and ultimately the cause of more problems down the line, but in a certain light his vision worked. He put Galatasaray back on the map. That intent never quite coalesced into tangible results, unfortunately. Sneijder scored a famous late goal to dump Juventus out of the Champions League group stages in 2013/14, as the Arena was engulfed in joy. However, Gala were narrowly beaten by Chelsea in the last-16, creating just an illusion of success. Remarkably, Cimbom failed to win the Turkish title that year, and turmoil soon became apparent. Mancini left amid displeasure with the proposed transfer budget. Drogba and Emmanuel Eboué also moved on. Sneijder stayed as the avatar of Gala potential, but the club finished bottom of its Champions League group in 2014/15. Cesare Prandelli, the man chosen to replace Mancini, was duly fired because of this poor showing, and Galatasaray has employed a string of managers without much success since. Much of the momentum sparked by Aysal slowly dripped away, and new problems dotted the horizon. “The introduction of UEFA’s Financial Fair Play initiative was also hugely problematic for Gala,” Dindjer explains. “Until two seasons ago, the Turkish Football Federation had imposed a foreigner limit. This had the effect of over-inflating prices of Turkish players and inevitably left bigger clubs with no choice but to pay outrageous sums of money for very mediocre players, at the expense of cheaper and better foreign alternatives. A world where Tarik Çamdal could cost €4.75 million, for example. “This was during the time when Unal Aysal was in charge and as Cimbom got stronger, the foreign restriction became tighter. This forced yet more spending on extending the contracts of Turkish players on inflated wages. As soon as Aysal resigned, the TFF removed the restriction completely. A coincidence? I think not. “An eccentric, Duygun Yarsuvat, was elected as chairman. He was a Professor of Law at the Galatasaray University. He was a sort of caretaker and, after a year in charge, another election followed. Dursun Özbek, a millionaire hotelier, was elected by his peers to take over, and this is who we have today. “At this point, it’s worth mentioning how the elective structure works at Gala. Unlike clubs owned by the fans or by a single individual, Galatasaray is owned by the members. To become a member, you either need to be a graduate of the High School, or you need to be granted membership by current members. A fixed fee has to be paid and this gains you a vote and the privilege to speak at the general assembly, which is held a few times a year at the High School. So, is there cause for optimism moving forward? Can Galatasaray ever fulfil its enormous potential and truly realise the dream vision in which it was founded? Well, the club once again finds itself needing to rebuild if those objectives are to be met. Off the field, a new television deal and league organ promises to make Turkish clubs wealthier than ever before, affording Gala the opportunity to balance its books once and for all. The club should be able to manage its finances more efficiently in future, with a progressive approach to scouting, analysis and preparation that is unrivalled domestically. Gala uses a blend of cutting-edge analytics and traditional scouting to sign players from around the world, so perhaps that vaunted database will yield a team worthy of European glory one day. 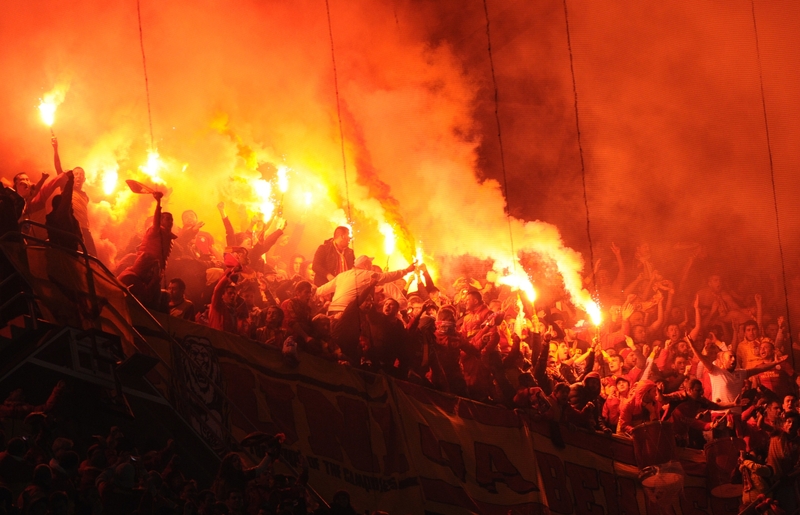 Some aspects of the football economy are still deeply unfair to clubs like Galatasaray. There seem to be double standards in how Financial Fair Play violations are punished. Meanwhile, the controversial ‘market pool’ system for sharing television revenue is a thinly-veiled attempt by UEFA to adopt a back-door franchise model in the Champions League, with the same elite teams competing every year thanks to disproportionate remuneration. To combat this, Galatasaray must continue to grow commercially, with further expansion into different continents. The internet can be a great tool in this fight, but it all comes down to results in the end. While predicting continental success for any club outside the exclusive cabal is highly problematic, Galatasaray would appear to have a better chance than many in that second tier. “I have always firmly believed in the inevitability of Galatasaray succeeding on Europe’s highest stage,” says Dindjer. “Galatasaray will win the Champions League. One day. It’s linked partially to the growth of the Turkish economy and sphere of influence, which is always advancing in the world. As this happens, interest and investment in all things Turkish will increase. Given that football is one of the most popular commodities, I think this will strike the Süper Lig clubs, too. “Galatasaray will continue to grow its brand globally, and with better income secured by season ticket sales from the bigger stadium, increased prize money in European football and shrewder investment deals, the club should be able to ensure its financial security. Galatasaray is too big, too grand, too historical and too popular to not achieve this. Cimbom has the ingredients to secure its future and ensure that the next quarter-final inspires a semi-final, and then one day a final, until, in the not-too-distant future, Galatasaray returns to Istanbul with the big-eared trophy covered in red and yellow ribbons.